Nobody likes it when the hot water stops or the water heater starts leaking! If you need water heater repairs, or a new water heater for you home, the technicians at Acrown Plumbing can help you with a flat rate, up front price and the minimum disruption to your busy schedule. We help hundreds of homes in the Los Angeles and Ventura counties area get their hot water back up and running each year. It's experience that will show, and it's all backed by a written guarantee. Enjoy hot water today! 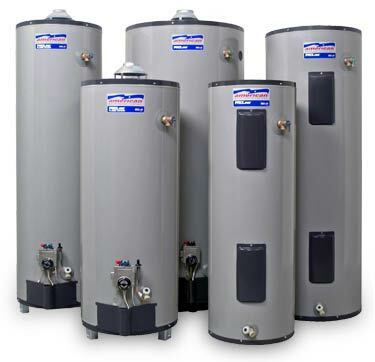 When you are looking for a new tank water heater for your home, Acrown Plumbing can help you choose a new water heater that will meet your hot water needs in the most energy efficient way. With some of the best warranties in the water heater market, you can be sure of a tank hot water system that will last you for years and years. We can do all the work and heavy lifting removing your old water heater while you relax. 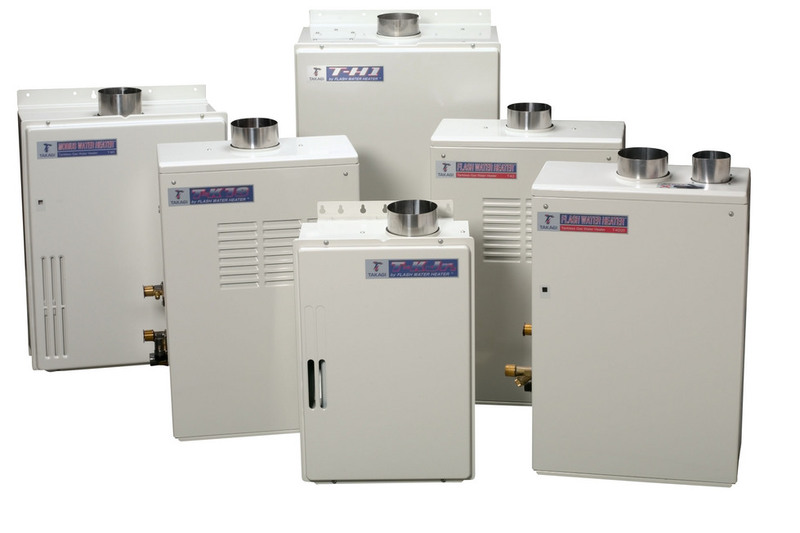 Tankless water heaters give you hot water 'on demand' - heating the water only as it is needed. There can be significant energy savings from not having to heat water that doesn't end up being used (because it only ends up being reheated), and for homes with limited space, the extra room provided by going 'tankless' can be a real bonus. 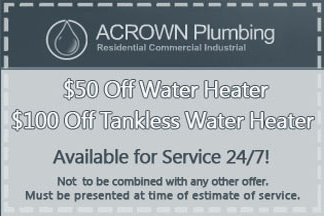 If you are interested in a new tankless water heating system for your home, contact Acrown Plumbing today. 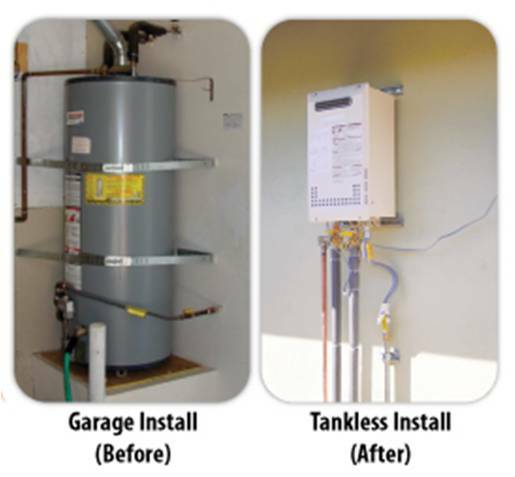 It is absolutely essential that your new tankless water heating system is correctly rated for the needs of your home, family and lifestyle. So it's important that you speak with plumbers with extensive experience and who are manufacturer certified installers.